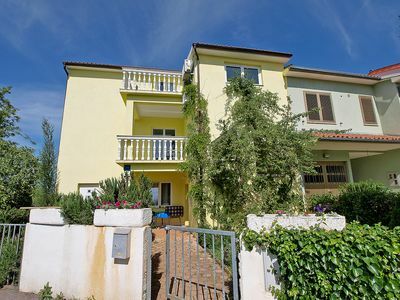 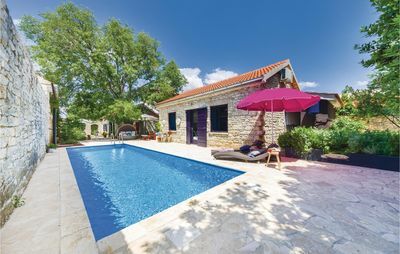 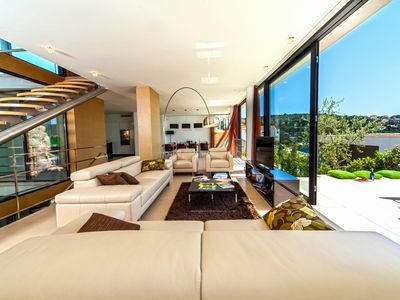 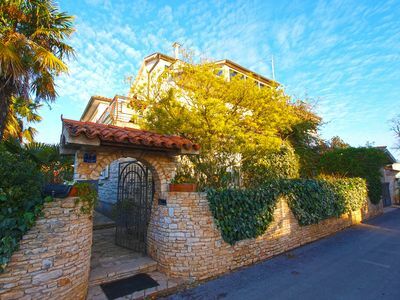 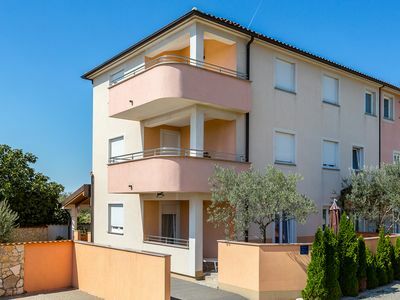 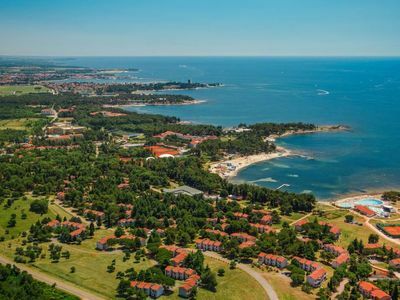 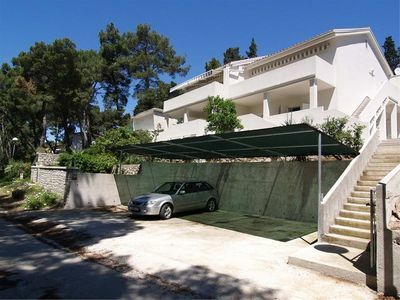 Contemporary with a little style thrown in, and free internet access, Villa is perfect for friends, students, couples, or those of you looking for a romantic getaway in Primošten. 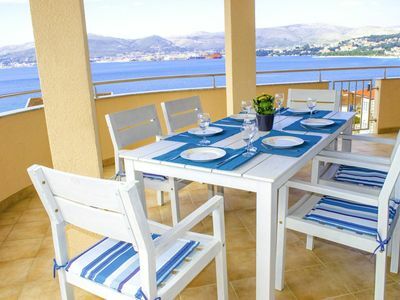 This stylish three bedroom villa on 3 floors, offers 285m2 of ample living space, sleeps six, with big living room, lounge area/ dining room, sat/LCD TV, access to the terracce with sitting furniture and amazing sea views, fully equipped kitchen (cooker with four ring ceramic hob, oven, microwave, freezer, dishwasher), separated wc and storage room on ground floor. 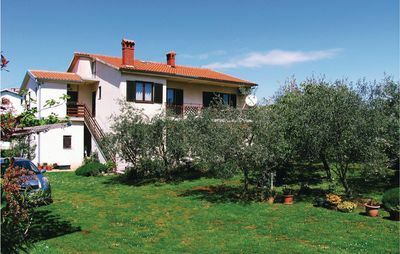 Accommodation has an indoor pool (16m2, depth 20 – 130 cm), sauna with shower and access to the terrace (15m2 with beautiful sea views and sitting furniture) on floor below. 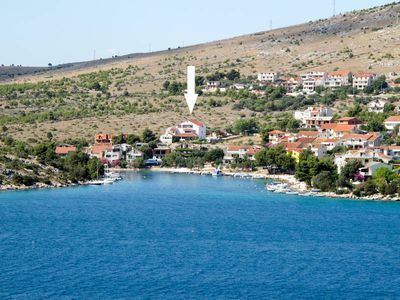 Villa has two bedrooms with double bed, sat/LCD TV, shower/WC, access to balcony with amazing sea views and one bedroom with 2 single beds, sat/LCD TV, shower/WC on the first floor. 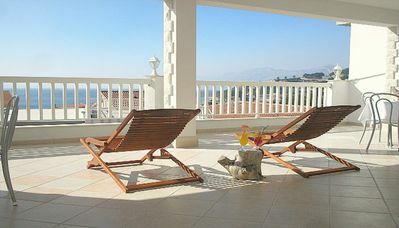 We invite you to enjoy, and share in the experience of Villa Golden Bay. 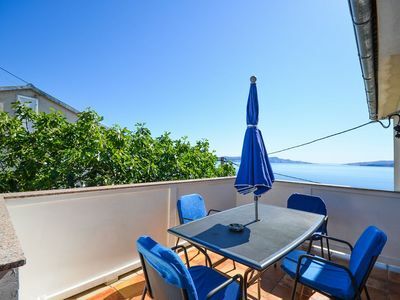 What more could you ask for?There’s so much we could say, but why not experience Golden Bay Villa 5 and the delights of Primošten for yourself?